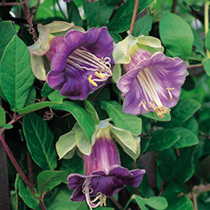 A fast growing climber with large, bell-shaped, violet-blue flowers. Under glass, the plant is perennial. 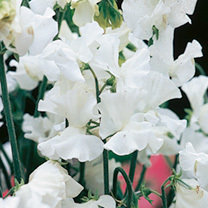 For outdoor use, treat as a half hardy annual. HHP - Half hardy perennial. Height up to 300cm (10'). RHS Award of Garden Merit winner. A similar blue flower to Crystal Palace, but the blooms have a distinctive white eye and the foliage is green. 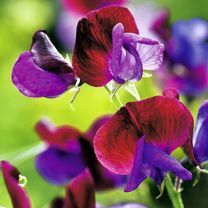 Essential multi-use plants for the summer garden. 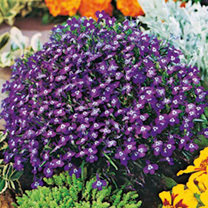 Ideal for borders, baskets and tubs. Height 15cm (6). HHA - Half-hardy annual.